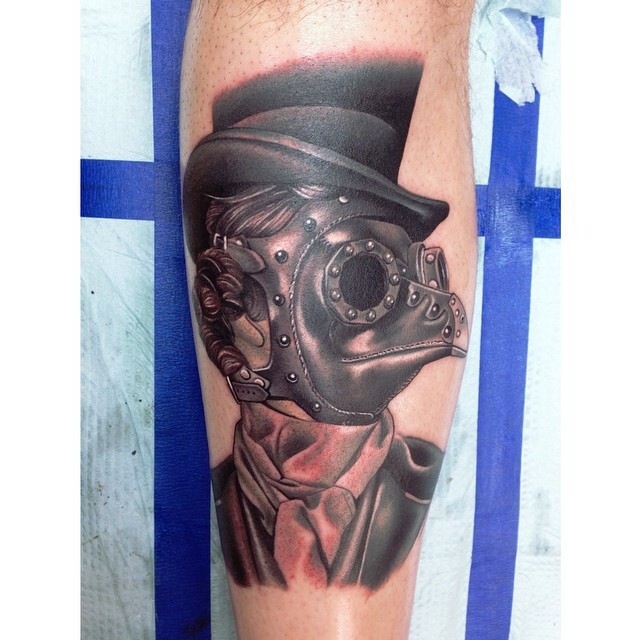 Plague Doctor By Roy Uno From Red Diamond Tattoo. Aiea, Hawaii. Sorry For The Redness, Brand New Piece.